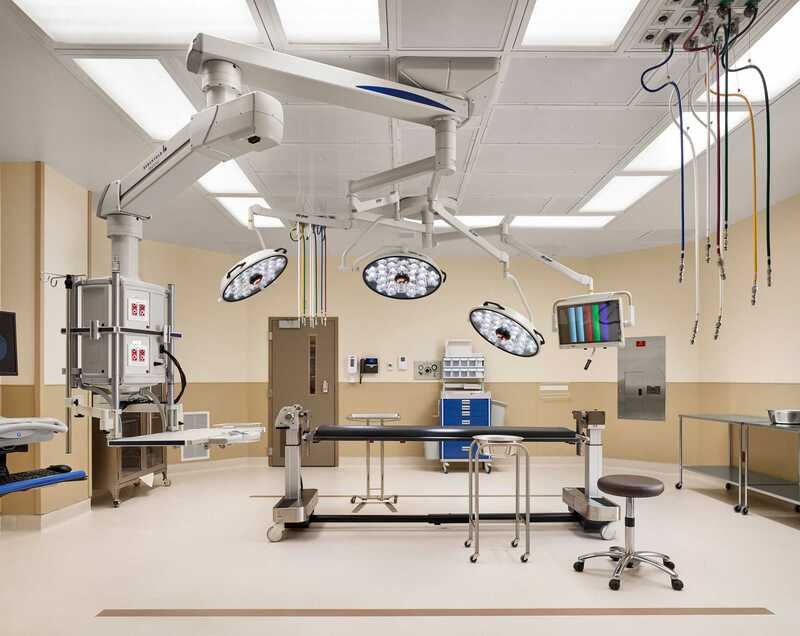 The University of Texas Medical Center sought to anchor a new teaching, patient care and research district with Austin’s sole Level 1 trauma hospital located on a sloped site in a dense urban setting. 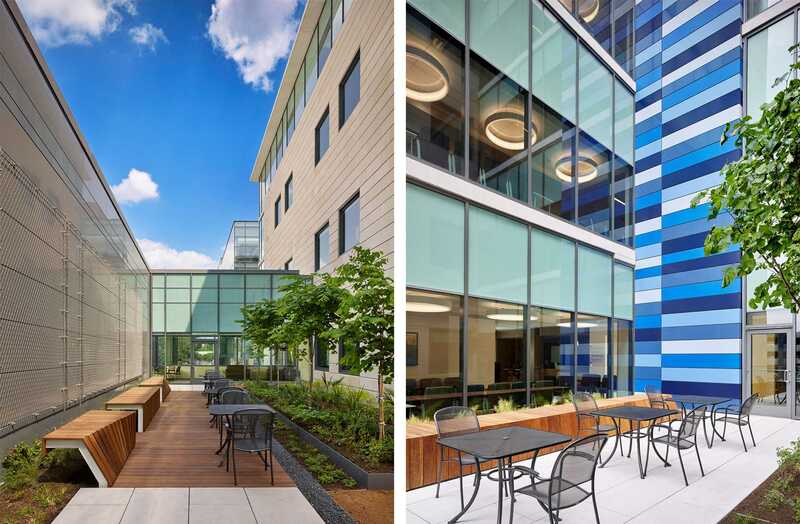 This 517,000 square foot,185-bed teaching hospital maximizes a small footprint and creates an accessible gateway to the UT Medical Center campus. HKS designers kept the urban scale in mind through a pedestrian-friendly ground level plaza, interior courtyards for peaceful reflection, and a sky bridge connecting otherwise disjointed floors. The building is sensitive to the natural context, offering views of the Texas state capitol and visual access to the natural beauty of Waller Creek and the revitalized Waterloo Park. 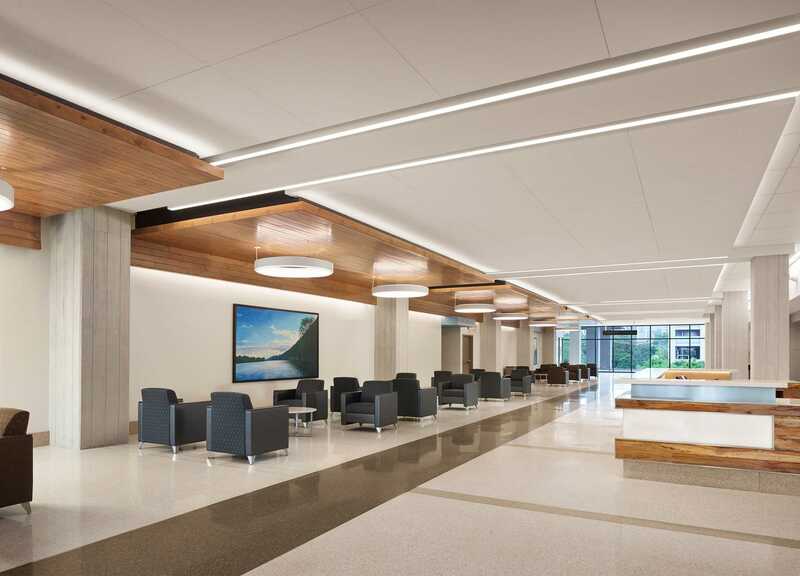 As the Austin area’s only Level 1 trauma center for adults, the hospital now plans to expand inpatient and surgical areas through vertical additions and integrate new technologies like interactive patient care boards and digital signage. The facility is part of a vibrant, diverse, dense urban district with human-scaled architecture. 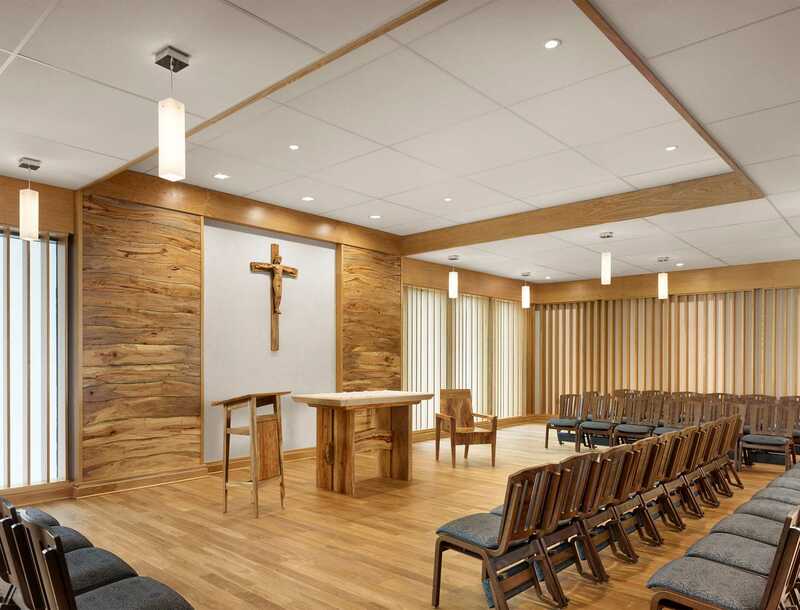 The LEED Gold-certified, 195-bed teaching hospital is the first new academic medical center on an undergraduate campus in the United States.